A marketing strategy is always key to planning and facilitating growth within a business. When creating and managing your marketing strategy, it’s important to consider channels that will get the best results with the highest ROI. Implementing telemarketing as part of your marketing strategy will benefit your business in ways that you might not have considered before. For example, brand awareness is a huge after effect of telemarketing services, which really helps a business to reach a wider audience and introduce their offering to prospects that may not have otherwise found them. Creating an awareness of your business is one of the most important goals within marketing, simply because it allows people to know you’re there, which is the first step to selling. Building brand awareness also creates a long-term sales cycle, as it’s widely known that every decision maker you call is unlikely to be ready for your product at that moment in time. However, it’s paramount that you do contact them because you want to be the first company they think of when their need does arise. This means that consequently, you are highly likely to gain business from telemarketing after the initial campaign has been completed. Directly communicating with your target market allows you to get an immediate response; the prospect will either be interested, or not at present. Either way, the prospect will have an understanding of your business, which is a positive. Providing this direct contact also gives the prospect an opportunity to ask questions and get immediate answers, which decreases the chances of doubt around your service. 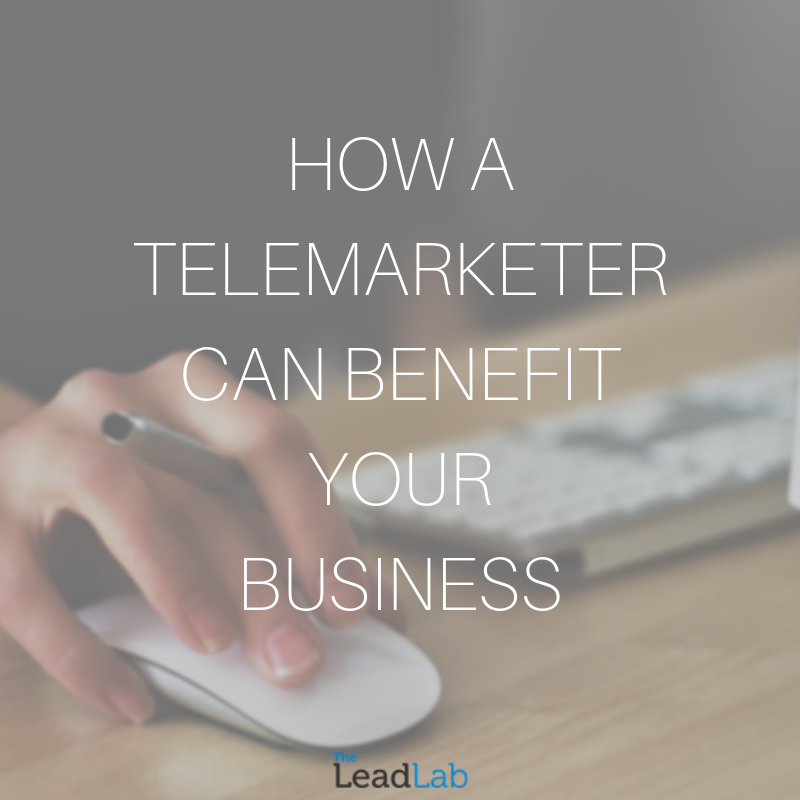 Telemarketing also creates a more personal experience with engaging human interaction, a rarity in the current marketing environment due to the development of technology and AI. Ultimately, we still believe that people buy from people, and providing a service whereby prospects get to speak to polite and friendly representatives is a lot more effective than using chatbots or automated marketing processes. Another benefit to using lead generation through telemarketing is to reach a wide range of people in any location you want to target, whilst retaining a personal approach. This means that your business can mass market without compromise, as the prospect is presented with a product or service directly that is likely to benefit as they fit your target market. Lastly, the biggest – and most obvious – benefit to telemarketing is the leads generated exclusively for you. All of our clients receive leads that are generated for them and only them. We don’t sell leads to other companies; it drastically reduces your conversion rates and sacrifices quality, which is not the type of service we want to provide. Ultimately, telemarketing is the most direct and personal way to engage with potential prospects, if you’d like to know more about our processes and how a telemarketer can benefit your business, call us on 0333 207 0540.